THERMOCOAX, leading manufacturer of mineral insulated cable solutions, develops thermal solutions for Semiconductor & Solar industries. Thermocoax’s thermal solutions helps to reduce down time and improve process stability for Semiconductor wafer process equipments. Our advanced heating applications are suitable for vacuum deposition environement ALD-CVD-PVD processes. Our mission is to support and provide our customers with more reliable, efficient services and solutions. We provide custom mineral cable heaters with the wattage required to get optimal temperature uniformity and process control. As we specialize in custom designs, we maintain continuous contact with our partners. You will find herewith information about our capabilities for several applications and products in Semiconductor Industries. We hope you will be pleased to discover our new dedicated website for Semiconductor markets. It will be updated with news and developments regularly. You can sign up to receive up to date information matching your field of interest that will be sent to your mailbox. Don’t hesitate to contact our worldwide teams. They are committed to supporting you in finding the best solution for your application. 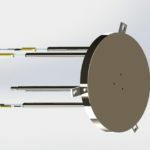 THERMOCOAX, a leading manufacturer of mineral insulated cable, develops heating solutions for the Semiconductor equipment industry. 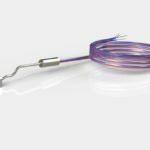 We offer custom engineering and manufacturing capabilities for thermocouples, high temperature uniformity performance chucks up to 450mm, pedestal heaters, heating plates, and heated Feedthroughs up to 1000C. Since 1957 THERMOCOAX is delivering high temperature heating solutions used in the most severe environments. Nowadays, you can find THERMOCOAX heaters and sensors throughout Semiconductor equipment worldwide. THERMOCOAX is the first choice for OEM needs when it comes to select a reliable heating solution. The failure rate for Thermocoax’s True Cold End heaters are 4 times lower than our competitors’ solutions.